Tim Sweeney, CEO and Technical Director, Epic Games, Inc.
Tim Sweeney will be remembered for starting a company called Epic, and crafting an engine called Unreal. He pioneered technology, fostered talent, and guided his company through periodic reinvention, towards ever-greater success. Mr. Sweeney was born to a father with a classified government job and a mother who raised three sons and worked in a flower shop. He grew up in an idyllic part of rural Maryland, swallowed all-too-soon by urban sprawl from Washington, D.C. He focus-tested early creations on neighborhood kids. “That really informed me a lot about how to build a game that makes sense.” By age sixteen, he had built several games and several bulletin board services. Despite the full course load, he still had a few hours a day to program. By his third year, Mr. Sweeney was comfortable enough with engineering to spend more time programming than studying. With the first sales came the realization that this could be a real business. “It was a real opportunity to make a lifetime out of it.” When thirty-orders-per-day became too much for Mr. Sweeney to handle, he hired part-timers to answer phones and fill orders. As the company began to distract from graduating college, Mr. Sweeney made a pivotal decision to focus wholly on the venture, and the company rented its first office. By the time he released the next game, it contained recruiting messages. “We were contacted by some impressively serious amateur game developers who really were interested in working on projects with Epic.” Cliff Bleszinski, James Schmalz, and Arjan Brussee were early collaborators. Mark Rein joined to run marketing and business development. From 1992 onward, the company worked with small teams to start and ship projects, with Epic handling direct sales and marketing. For the next few years, Mr. Sweeney would act as producer. The results were impressive. By 1993, the company paid a million dollars in royalties to the author of Epic Pinball. But the shareware business model was facing a challenge: small teams were giving way to larger ones, and id Software had ignited demand for 3D games. Ever alert to the business, Mr. Sweeney reckoned that a version of Epic Pinball that was ten-times better as a game, still wouldn’t sell ten-times as many copies. What could not be accomplished on bulletin board services could be done through retail, which had set a precedent for best-selling games of one-or-two-million units for PCs. In order to compete with the best offerings from other developers, Mr. Sweeney assembled his best and brightest developers together into one big team to start making Unreal. In 1996, two firms wanted to license the engine behind Unreal, which was already showing well in the press. Epic began to form a middleware strategy that has had a profound effect on the industry. While Mr. Sweeney seems most proud of the number of enthusiast developers turned professional as a result of using the free Unreal Engine tools, the licensing fees have kept Epic independent of publisher control. After successfully shifting from shareware publisher to PC retail developer, the company was poised to shift once again from PC to console. Up to that point, Epic had been a loosely organized, laid-back type of company. “We didn’t have a clear management structure in place,” recalls Mr. Sweeney. The solution presented itself in the person of Dr. Michael Capps. That organizational touch brought a growth spurt of personnel, and the result was Gears of War. 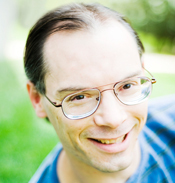 Tim Sweeney is known for his technical accomplishments; those who know him best always mention his warmth and humanity. But what sets Mr. Sweeney apart from his peers is an ability to understand and appreciate the business of games as being one of those complex systems he loves to create.